Today we are putting Intel’s 750 series 400GB PCI Express SSD through its paces. 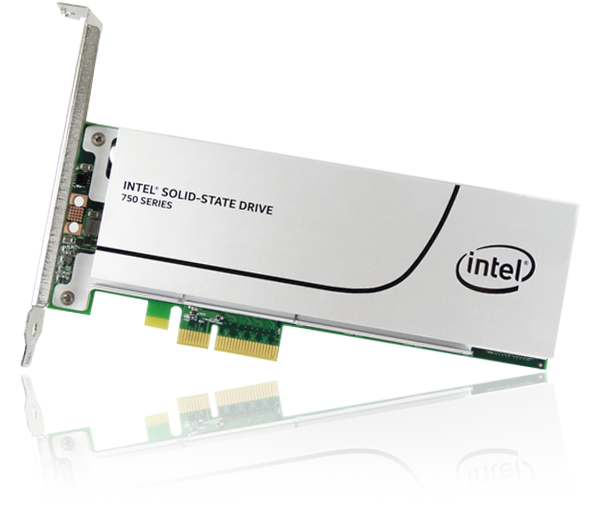 We’ve been extolling the virtues of SSD technology here at Chillblast for years, but this new drive from Intel is different from now ubiquitous 2.5” SATA SSDs in that it connects directly to the PCI Express bus. As such it is provided as an add-in card and more closely resembles a video card than any drive you may have seen before. Installation requires chipset level support.  Users with Z97 or newer chipset boards should be fine, however it is recommend you update your board to the latest BIOS before you purchase, and look for NVMe boot support as a feature explicitly added in the BIOS release notes. With the additional inconvenience of a BIOS update and a loss of a PCI Express slot you’ll probably be thinking this Intel drive had better deliver a quantum leap in performance to be worth the bother, as we were. Fortunately it does not disappoint. First up we wanted to see how Intel’s new drive compares in raw synthetic performance to a really fast conventional 2.5” drive – namely Samsung’s 850 EVO. This is our price / performance champion when it comes to 2.5” SSDs and our best-selling SSD by far. 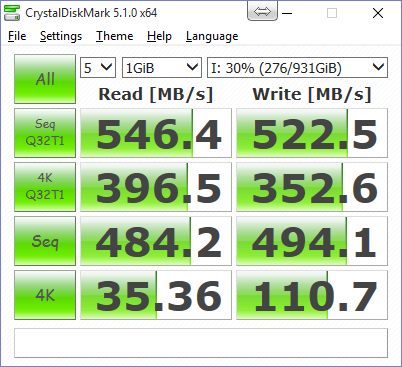 It’s quick too – one of the fastest mainstream 2.5” SSDs on the market. In all cases we like to run our drives in substantially before testing them. We have no interest in performance figures on freshly polished empty drives that have not been used under race conditions. 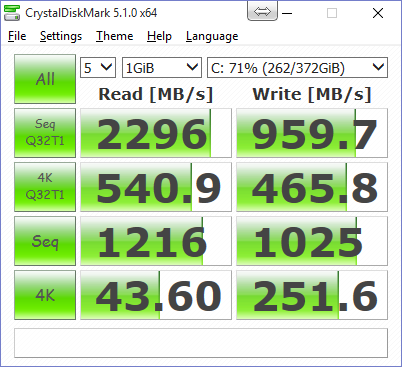 In crystal disk mark the Intel 750 SSD is as much as 420% faster than the Samsung in sequential read, and a good deal faster in all other metrics. The Intel 750 shows the Samsung 850 1TB a clean pair of heels in every sub test. Why!? Intel’s 750 is as much as 676x faster. That’s right, six hundred and seventy six times faster. 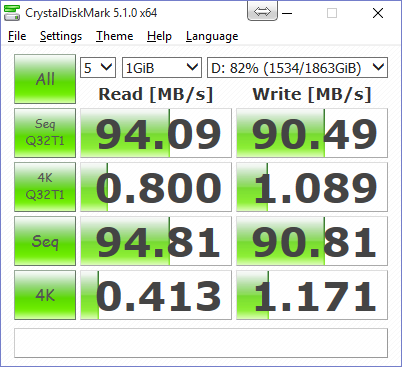 To simulate how disks perform in a “real world” environment we put the disks through their paces in PCMark. The guys at Futuremark have put a lot of effort into ensuring their storage benchmarks are representative of real world performance characteristics and we have always found them to be near enough spot on. As you can see, things are much closer this time around, with the Intel showing good performance benefits over the Samsung and a quantum leap over the mechaniocal drive. The “Starting Applications” test is particularly telling here, as it is the test that most closely mimics what most of us do when we are using Windows in a day to day environment. The results also show how much faster games load up on an SSD compared to spinning hard disks, with both SSDs showing more than 5x the speed of the traditional drive. 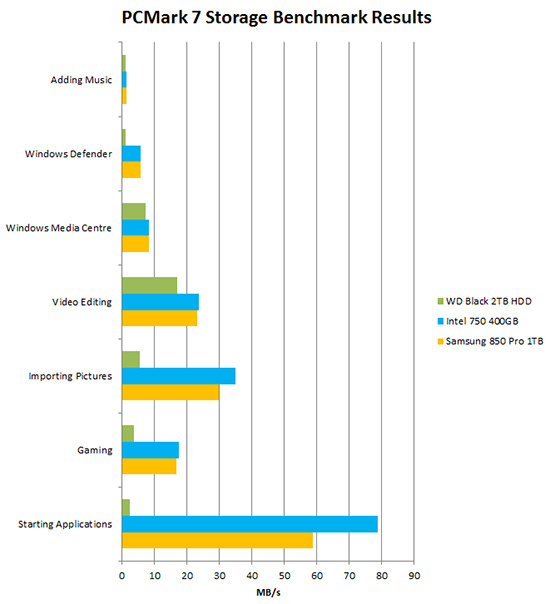 We never planned this to be an Anandtech style analysis – after all that’s what Anandtech is there for, but just a snapshot into how Intel’s latest SSD technology can help improve your PC’s performance and your user experience. The take home messages are that if you have a newish motherboard with a Z97 chipset or better and want the quickest SSD on the market today – the Intel 750 is the drive to go for. We’ve teamed up with Intel to offer a special price on these drives for those looking to upgrade to an Intel 750 today – and those specifying a new PC with one such drive get an exclusive cash back offer that scales with the capacity of drive you choose.